DOWNTOWN LIVING AT YOUR FINGERTIPS! 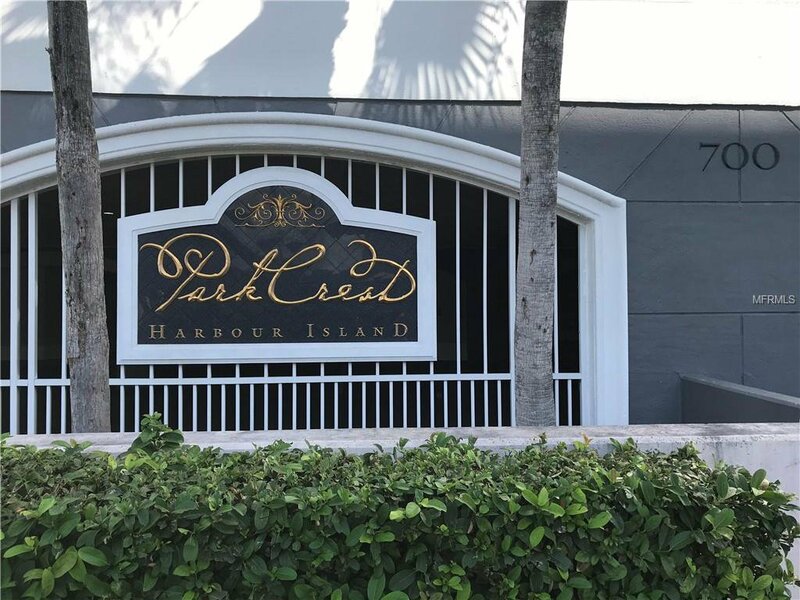 This 2/2 condo at Parkcrest Condominium Waterfront Community located on Harbour Island in the heart of Tampa Bay, is just a hop, skip and a jump away from what Downtown Tampa/Channelside has to offer. Enjoy a lavish central courtyard and clubhouse. Walking distance to restaurants, shops, marinas, Jackson's Bistro, Convention Center, Amalie Arena, Harbour Island Athletic Club and more! Designated pet walk, 24 hour security, gated owner parking, business center, waterfront pool overlooking the Garrison Channel with a heated whirlpool spa, billiard room, boardroom, gaming room and fitness center. Pet friendly. 2/2 split bedroom plan with an open kitchen/dining/family room. Both bedrooms have walk in closets. Brand new upgraded carpet in both bedrooms, freshly painted, wood floors, stainless steel appliances, granite throughout and washer/dryer included in walk in laundry room. You're just a 5 min walk to Bayshore Blvd. Get into Tampa's downtown redevelopment before it progresses any further and prices increase! Move in ready! Listing courtesy of REALTY EXECUTIVES ADAMO. Selling Office: RE/MAX DYNAMIC.